Wow – it’s been a while! Even with the very nasty weather we saw a couple of breaks to get outdoor spring chores accomplished. We got a major portion of the fencing completed. A new area for the Dark Cornish chickens gives them a new quarter acre of brush and grass with their tractors and dog houses moved for spring nesting. 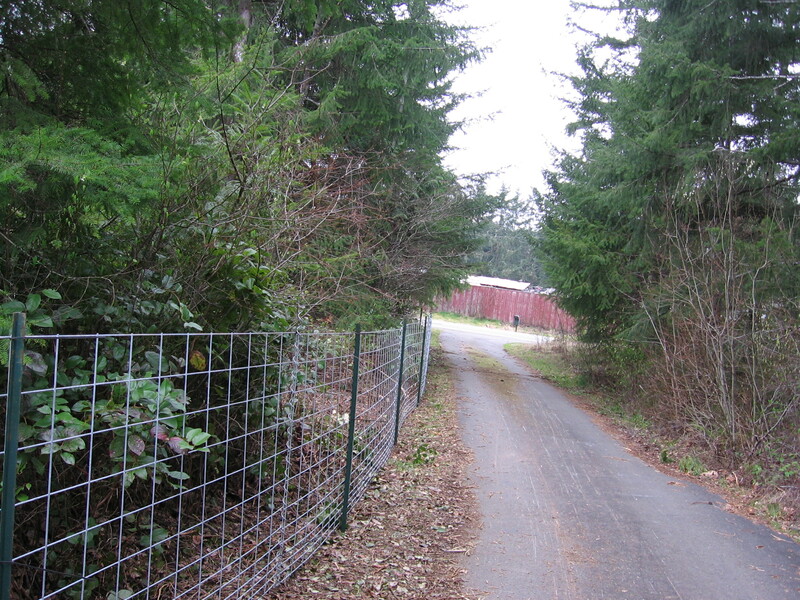 In addition they can go through the holes in the fence to another acre of deep brush so they are pretty happy now. 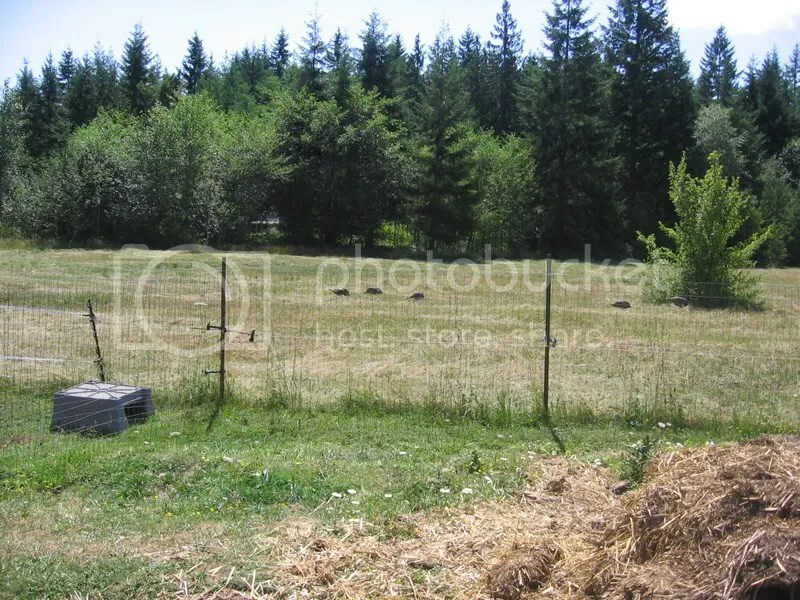 The other acre has a perimeter fence of hog panels with smaller holes at the bottom. It’s ready except for building a simply hog shelter for three weaner pigs and Daisy, T-Bone and maybe new calve(s)?? In addition Jake can now patrol safely outside at night. The first few nights he would bark in the early morning hours at something but lately all has been quiet so I think he has claimed Deberosa from the predators! Gardening season is starting. The areas where I put down the annual supply of feed bags and cardboard boxes covered by bark mulch is now wonderful soil. I put this down right on top of sod and it’s completely gone. Soon will make the annual trip to Whitney’s gardens for more landscaping plants for this new area. I am also moving herbs into the new area – Valerian, Oregano, chives, thyme and eventually many other herbs currently buried in the overgrown area will be moved. 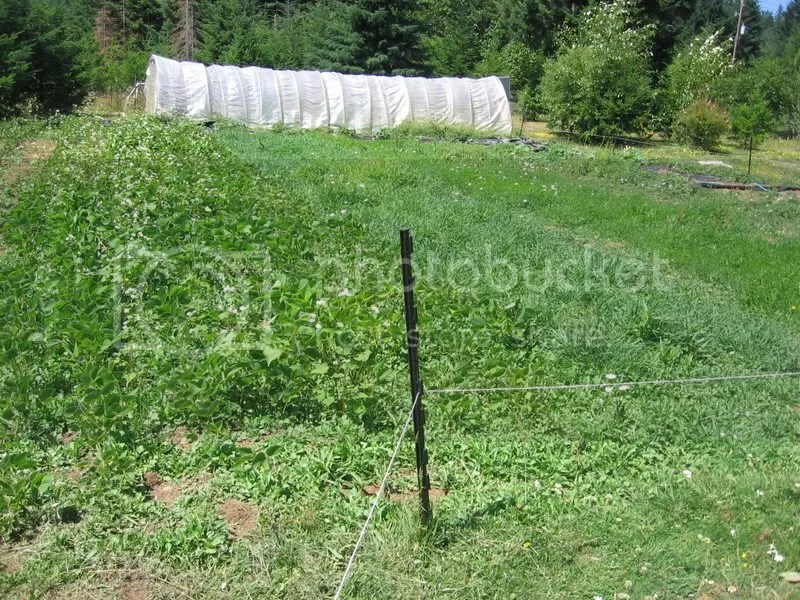 I moved the Rhubarb, placing a nice big cow pie in the bottom of each new division’s hole. 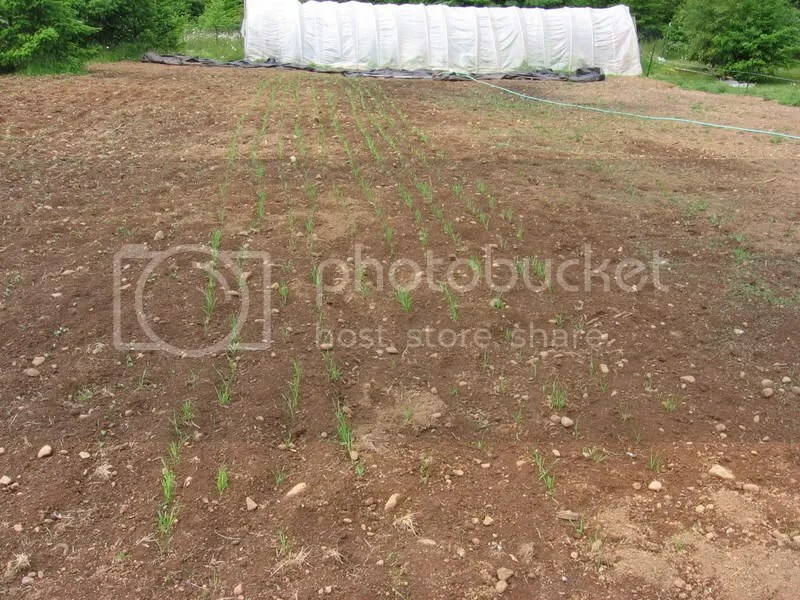 The onions and garlic that I planted last fall and mulched with straw are now coming up very nicely and I’ve started to harvest from the bed of Leeks that I planted last spring. I moved the Seedling Aronia bush, allowing large pathways for the new tractor and wagon. Also did the needed pruning of fruit trees and berry vines. 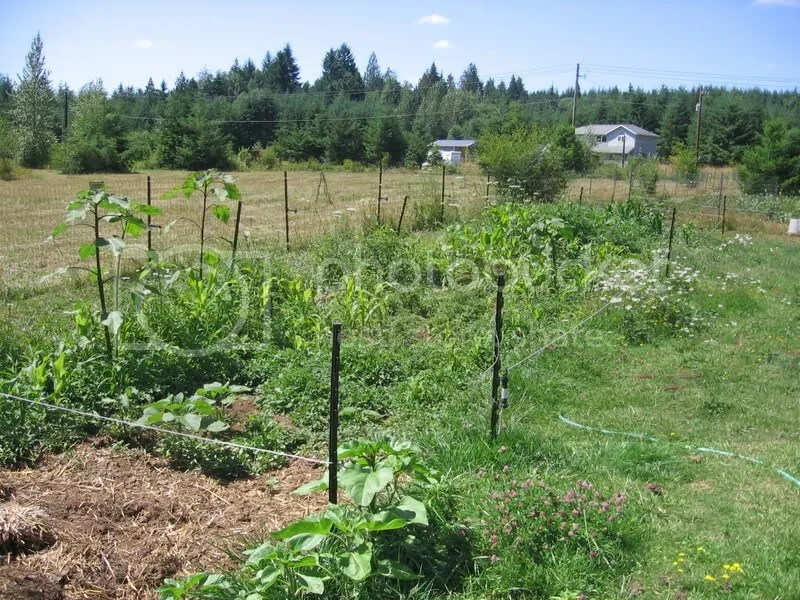 This year I am going to build another straw bale garden in the back yard but the weather has been too nasty. The 28 bales of straw sit in the barn right now. I am using lots more mulch this year to keep down weeds. March is also the month to start plants inside. I have a chrome rolling rack that I got at Costco with two 4 foot shop lights. That tends to be enough for me to start seedings. So far I put in dozens of tomato starts and moved them from 6 packs to 4 inch pots last weekend and then they go to the outside greenhouse. Unfortunately the weather outside has been perfectly nasty ever since to I’ve been running two heat lamps and one electric heater out there! So far so good for Tomatoes, basil, chard and greens. Now the next round are under the lights just germinating. 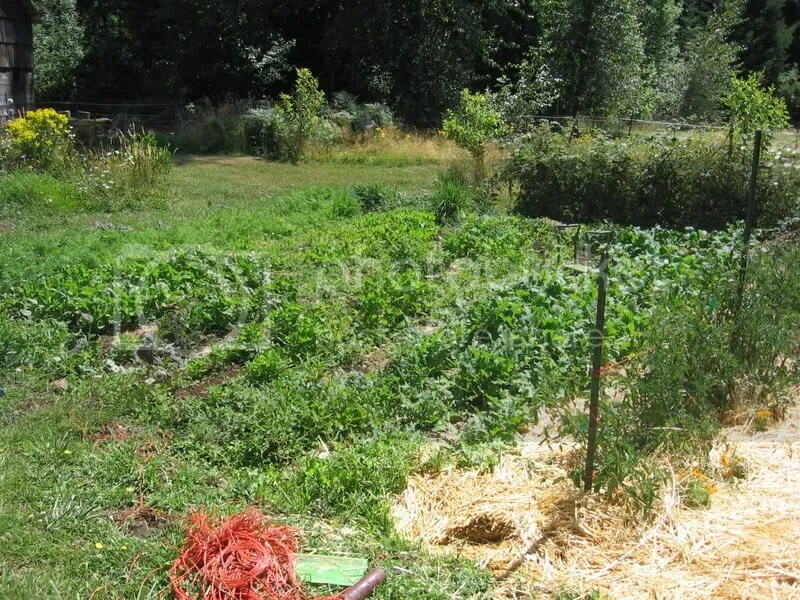 They include another round of greens, a few more tomatoes, zinnias, cosmos, more chard, a few kinds of head lettuce, okra, chinese lanterns and some other miscelaneous plants. After this round will be the squash starts in the 4 inch pots, and the greenhouse will be at capacity with this new batch of seedlings. It’s also springtime for the animals. One dark cornish hen already hatched out her brood last week! She hid them in the wood shed so she has 4 little chicks in all the snow and rain. They are a week old now and doing very well, she is a good mother. Daisy continues to get bigger so I am almost positive she is pregnant. I just hope she waits till I return from a trip for my job! I am letting the eggs collect with the Buff Orpingtons this week in hopes that someone will feel like setting so far no luck… However the straw I put in the dog houses and tractors for the dark cornish have been thoroughly explored and there are many eggs in nicely rounded out nests in the straw. 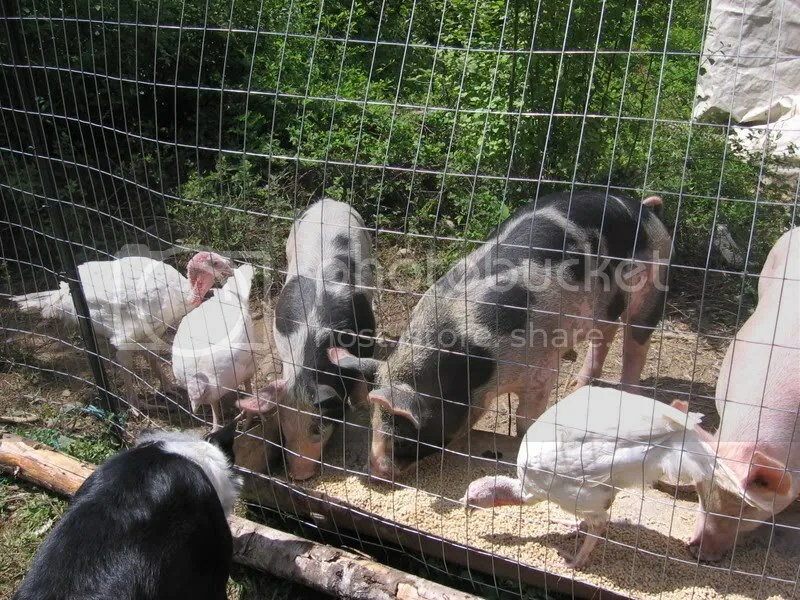 The three piglets will be here by the end of April. Gee – no wonder I didn’t have time to write! Just had three days with no rain and on a holiday weekend. Finally some progress around the homestead. Kurt got in a bunch of T-posts for the new fence – still need to get the welded wire up but soon the majority will be done. I got the path completely brush hogged to put in the perimeter fence which will keep out all coyotes and maurading dogs, plus let Jake and Martha roam the property freely and keep other critters at bay. 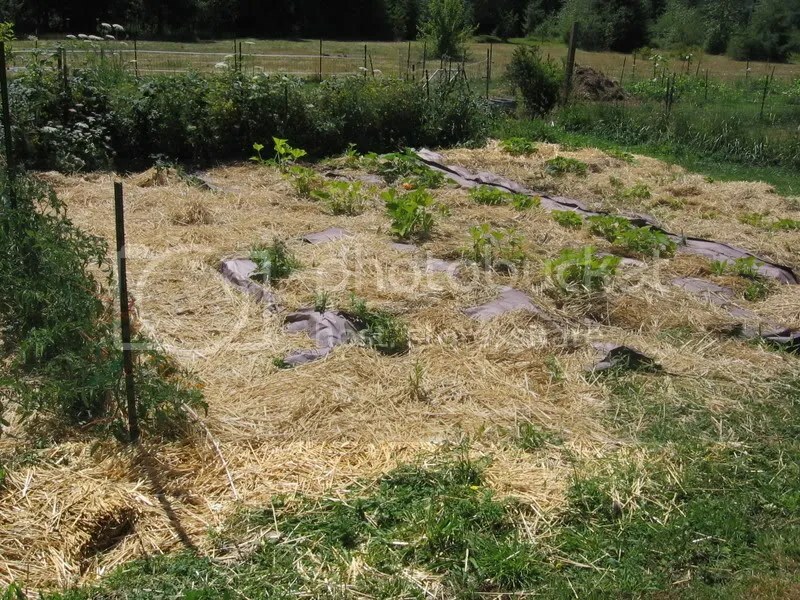 I brought in more straw for Daisy and T-Bone – I pulled the strings off in the bucket of the tractor and dumped 5 bails over the fence outside of their lean to. They had a blast! Bucking and pawing and throwing straw all over. Then they settled into eating it. 😉 I forked a bale into their lean too and now they have a nice fresh place for a while anyhow. Today T-bone went into season again – but nothing for Daisy. I am almost certain she is pregnant now but it hasn’t slowed her down much, she took off after the roosters this evening. The 4 buff roosters are relegated to sleeping in the barn stall and they are not allowed near the big roos hens. They pretty much hang in a group and pounce on any hen to get out of control of the big roo. Well I went in to collect eggs this evening and my one new white banty hen flew out the window in a huff, only to be pounced on by the 4 banished roos! Daisy didn’t like that and galloped to her rescue – scattering roosters in all directions. I had never seen her pay any attention to them before, guess she just had enough. 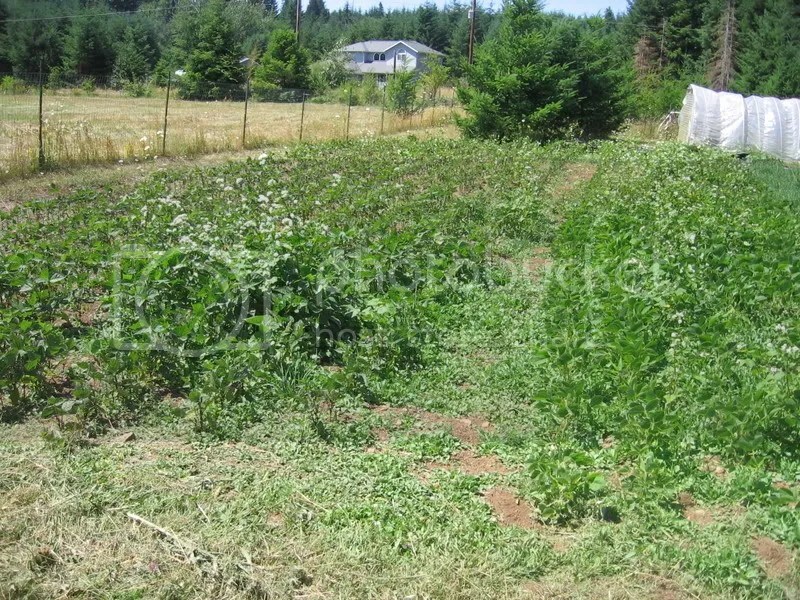 I pruned the apple trees, blueberries, raspberries and straightened out the Taberries which should start producing in volume this year. I planted the comfrey, and two new trees a Japanese Zelkova and Katsura shade tree. Both will be pretty colors and will grow into large shade trees. The tulip tree in the backyard is getting quite tall now. 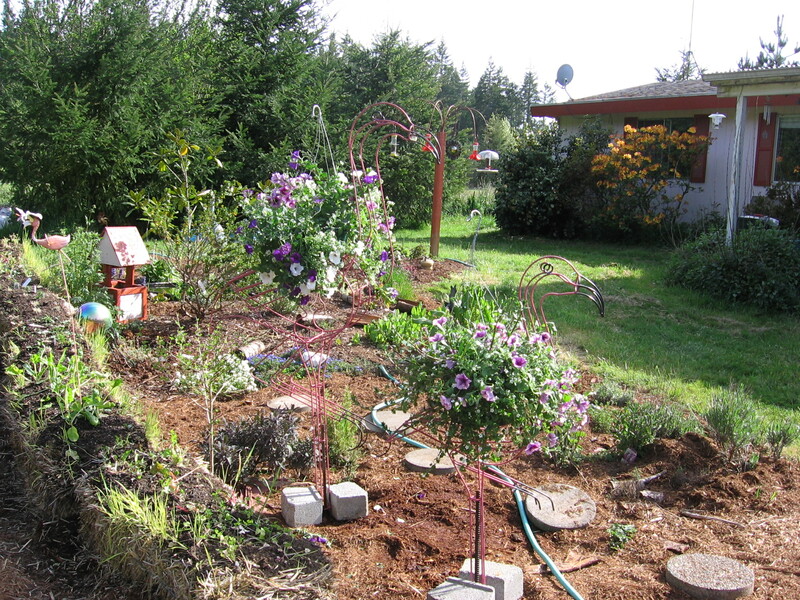 I also converted more of my front yard to gardens by laying down boxes and feed bag and covering with mulch. 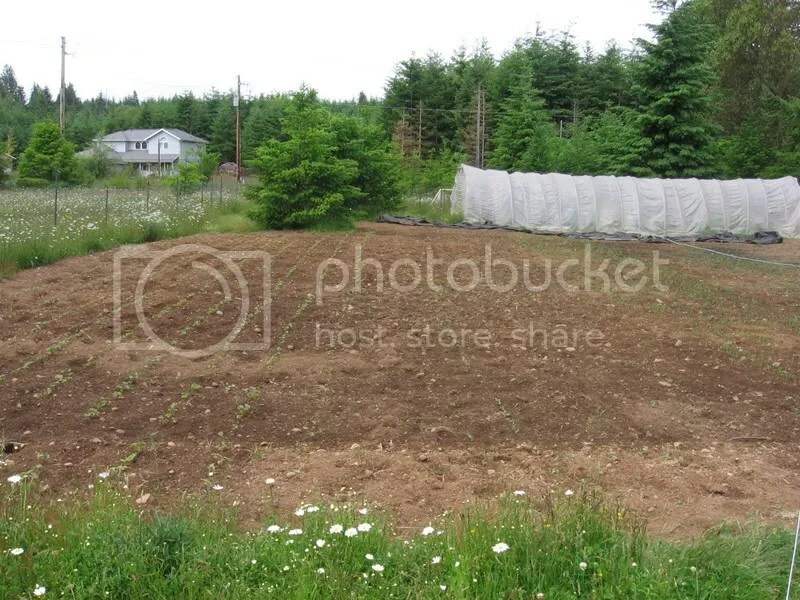 By next year there will be nice garden soil there instead of grass. Last years area is ready for planting so I moved some herbs around and planted my bay leaf tree and a pineapple bush that have been waiting to get into the ground. The Triple Crown thornless blackberries arrived. I took three over to the neighbor and potted up 10 plants to go into the garden later. I moved the donated water bed matress out to the back deck in the sun and filled it but it has a big leak! 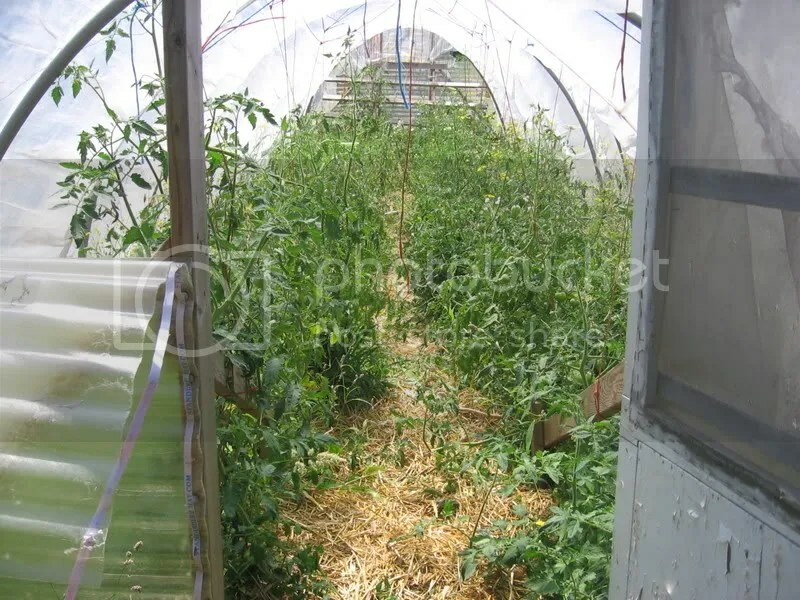 I wanted to build a hoop house over it and put seedlings in it for growing – maybe even grow greens in it year round with the water bed absorbing the heat and releasing it… It might be able to be patched. The gardens all got a dose of lime today also to help with the acid soil created by all this rain. 4 40 pound bags pretty much covered all of the garden areas. It was a glorious three days and while there is still much to do at least we made a dent! It was great to get out for once! Well, it’s been a rocky start to 2008! 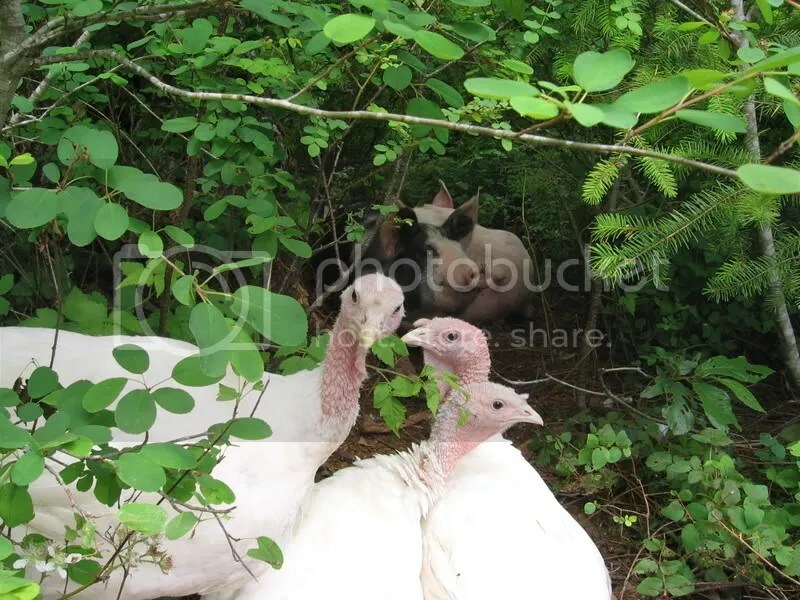 I had my two tom turkeys die – it may be blackhead but not sure. Now I only have the three hens left. That was a huge amount of meat that went to waste! It’s been damp and cold, rather wet and cold! Snow yesterday that is still around and now getting soaked with rain – I am ready for Spring! I put an ad in the paper that will hit tomorrow to sell some of the Buff Orpington Pullets. 50 pullets are simply too many for my facilities! Asking $12 per bird or 5 for $50. Hopefully I can get down to about a dozen regular layers and a couple of good roos. Sunday I hope the weather holds enough to do butchering. There are way too many Dark Cornish roos running around, the girls are getting worn out! So another 12 of them plus the three turkey hens go to the freezer. That will be enough turkey for next year and I won’t need to start a new batch till the following year. That should free up a huge part of the feed bill for seeds! I may go with Naragansette turkeys the next time around since they are supposed to be really good mothers. I think Daisy might be pregnant! 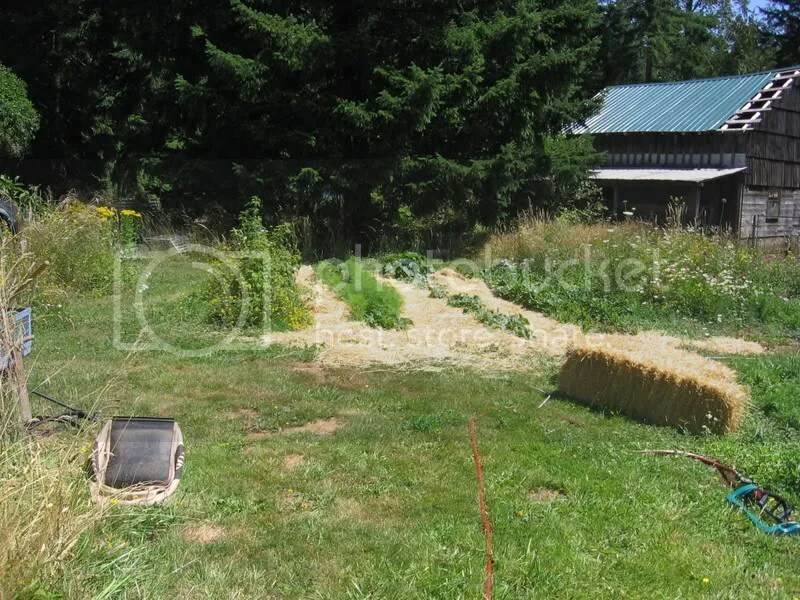 Started looking at her on Sunday – the rain held off long enough to run to the store and get 4 bales of straw for the mud pit outside of her lean to. I would dump the bales over the gate, Kurt would removed the strings and Daisy would toss the straw around with her horns! T-Bone just ran around in circles. I think they were both happy for a break in the weather also! 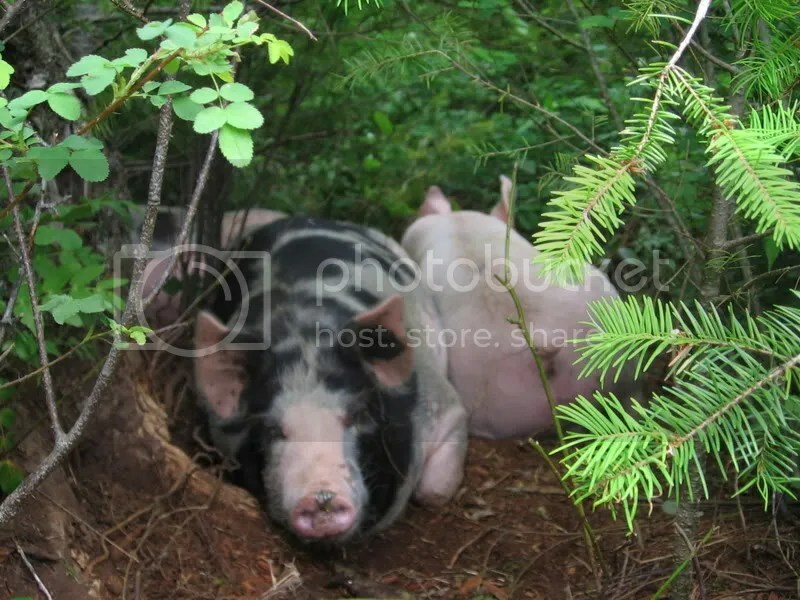 They now don’t slog through mud to get to dinner. I got 4 more bales in reserve and will use it if it gets nasty again. Next year I’ll figure something better out on higher ground. Anyhow – she looked “fat”. I asked on a forum and you can “bump” them at 6-7 months to feel for the calf. Lower right side is the uteris. Well I think I feel a calf there, but who knows. Will have to call the former owner to see if perchance her bull did his duty before she moved in. 😉 That actually would be good news! Been in SanDiego for work for a week, just getting caught up again – and I sure am ready for spring to get here! Ordered some Doyle Blackberries (only one source for them) and some garden tools. Still need to get the rest of the seed orders together soon. 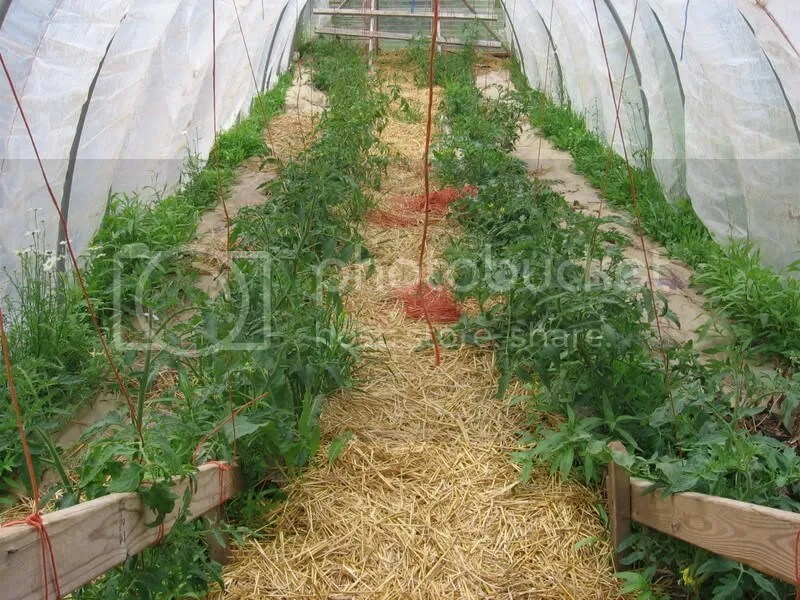 Also ordered tomatoe seeds – Early Girl, Big Boy and yellow pear. That should be plenty! I may buy an odd plant in the spring to supplement if I feel deprived. 😉 I am hoping the Early Girl will lengthen my fresh tomatoe season and the Big Boys will produce plenty for canning and freezing and drying. That’s about all that’s going on around here!